The black anodized aluminum spacer plate will raise the motor slightly to allow clearance for the button head screws which attach the landing leg or the coaxial motor standoffs to the arm. 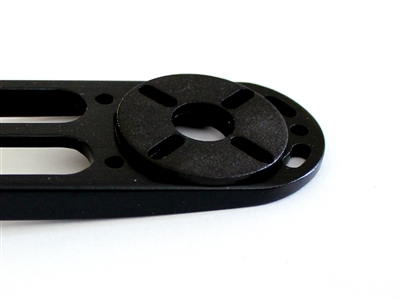 This will allow to use any size motor that has mounting holes from 16mm to 25mm. If you are not using the landing legs or coaxial mount, this item will not be necessary.